Join the community to give you and your work exposure to our readers – those who may be traveling to your area soon. Does your studio have open hours? Are you having an exhibition or performance soon? Let our readers know. Join the community if you’ve got travel stories to tell, advice to give, or questions to ask! Use the drop down menu below to find cultural events and exhibitions that are happening at your next travel destination. Also check the Events Calendar and the Community Groups! Artists, Writers, Photographers, Musicians, Performers, Creatives … it’s probably our intense curiosity about life that drives us to move about on the planet. Our need to experience the revitalization of Self attracts the artist in us to the road or the rail or the skies. In a way, traveling is very similar to the creation process – both are taking a leap into the unknown. Within our travels we find the discovery of a new place, a new language, a new taste, a new way of seeing, or find new work methods that will ultimately, profoundly affect our work. ARTIST-AT-LARGE is here to inspire and encourage you to open the door and step out into an unknown world – to transform – even if it is only by experiencing your own neighborhood. 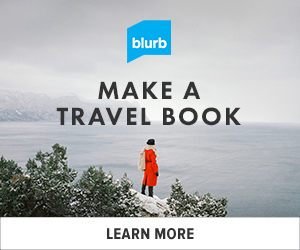 The site focuses on presenting great cultural travel writing and photography, bringing together travelers with cultural events such as exhibitions, festivals, and performances, and when we aren't traveling we share our everyday lives, studio work and musings, as well our cultural walkabouts around our homelands. Why am I asking for your support? While artist-at-large is mainly a labor of love, it wasn't meant to be that. Just as magazine publishers want to earn a living doing what they do, I would love to be rewarded for the time and effort I put into this project. Because you enjoy or value the community, the writing, and the images on this site, it's a great idea to consider exchanging some of your energy for mine and supporting more work and the little things that help make life go around in the background. The writing and photographs on artist-at-large are generated through your generosity and the links below! 20 years, 20 artists ! These links will open in a new window. Enjoy! Google Arts & Culture: Explore museums from around the world, discover and view hundreds of artworks at incredible zoom levels, and even create and share your own collection of masterpieces. View The Sistine Chapel online as if you were actually there - alone with no other people to disturb your view! Use your mouse by holding down the right click and mousing through the room. c. 2000 - 2019 artist-at-large and images@artist-at-large.com | All rights reserved. | Please see the Copyright and Image Policy pages for information on the site's content. | Find press and demographic information on the Minutiaepage. artist-at-large.com is a participant in the Amazon Services LLC Associates Program, an affiliate advertising program designed to provide a means for sites to earn advertising fees by advertising and linking to the amazon site.